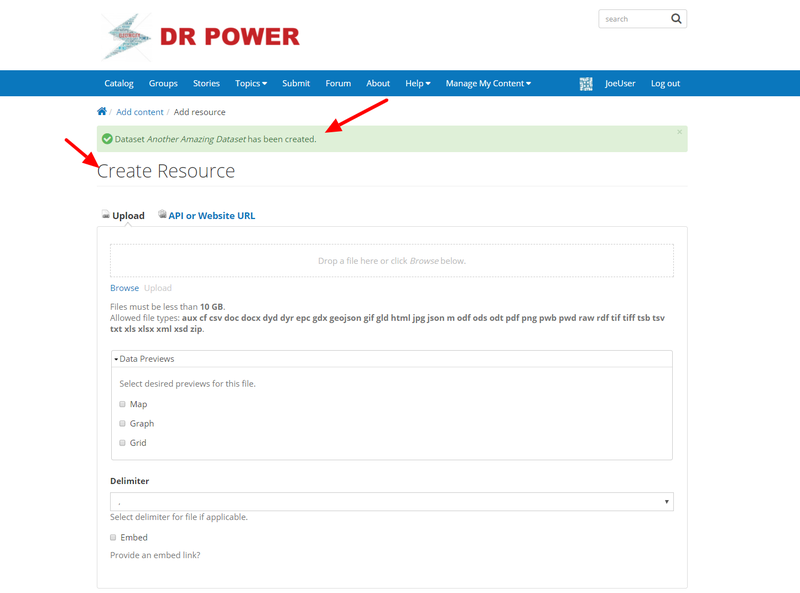 This article will walk you through the process of creating a Dataset on DR POWER. 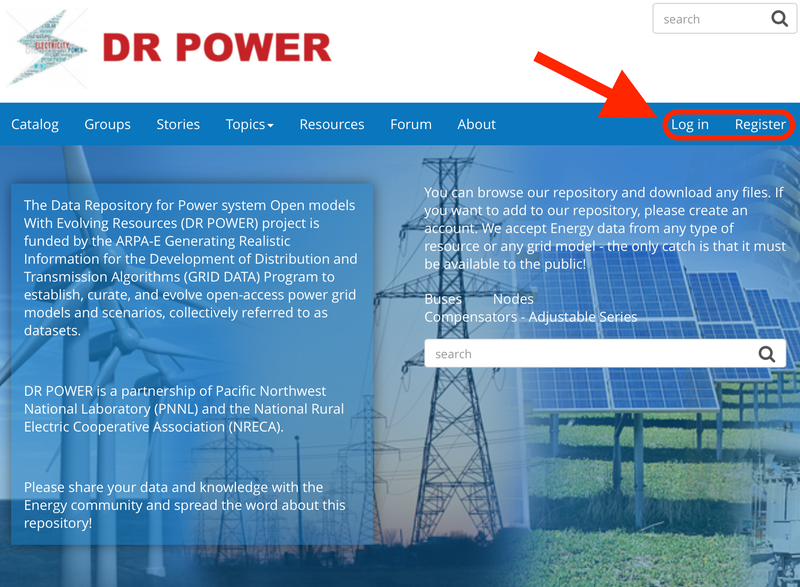 Log in or Register on the DR POWER website. ** If you already have an account click Log In. 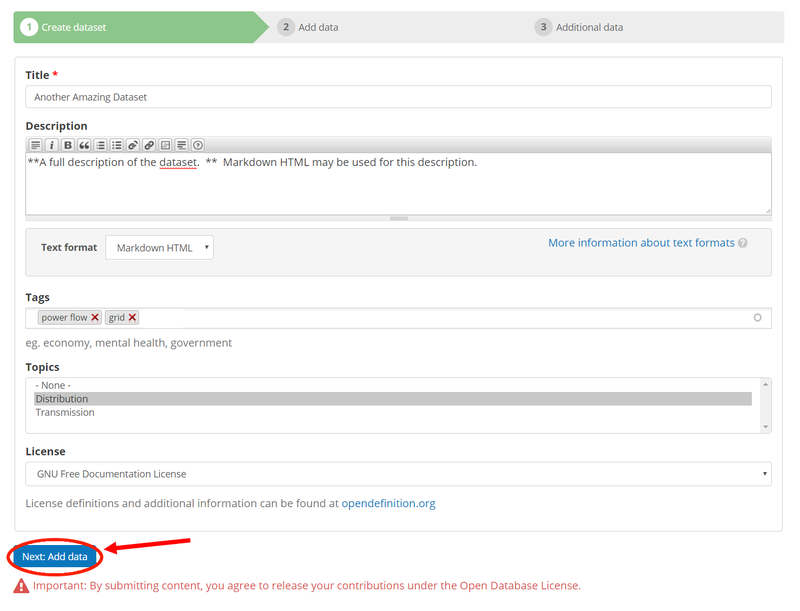 ** If you do not have an account, you will need to Register to upload a dataset. Once logged in, click Submit to access the Create Dataset form. On the Create Dataset form, fill in the required Title field, marked with a red asterisk (). *Note: Be sure to make the title concise, but descriptive of the dataset (preferably under 80 characters, including spaces). 3a. Add a description for the dataset. 3b. Assign Tags. Choose the terms that most closely represent the dataset. These terms categorize and help users find your dataset when searching DR POWER. If a term doesn’t already exist in DR POWER, the term will be added when the dataset is saved. 3c. Choose the Topic area for the dataset. 3d. Choose the appropriate **License **for the dataset. License definitions and additional information can be found at opendefinition.org. 3e. Click the Next: Add data button to add resources to the dataset. 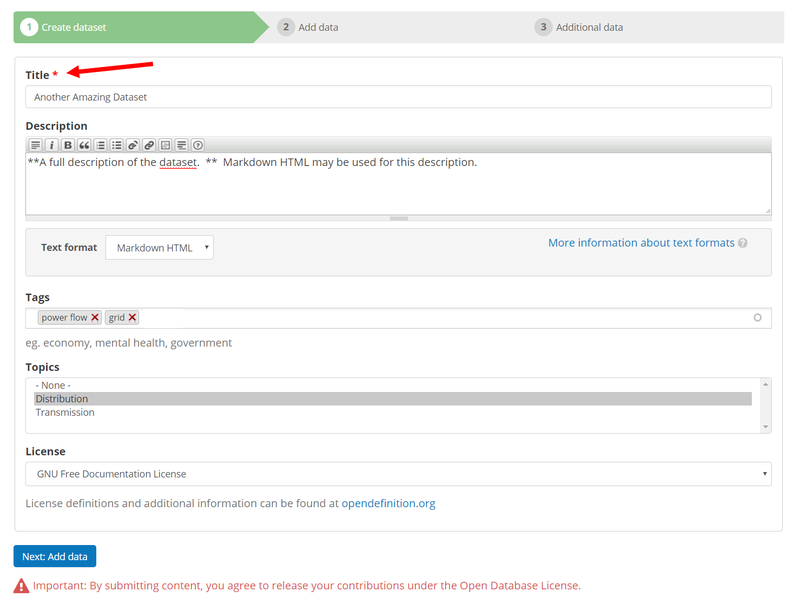 Upon successful submission, a notification that the dataset has been created will be shown and the Create Resource form will appear.